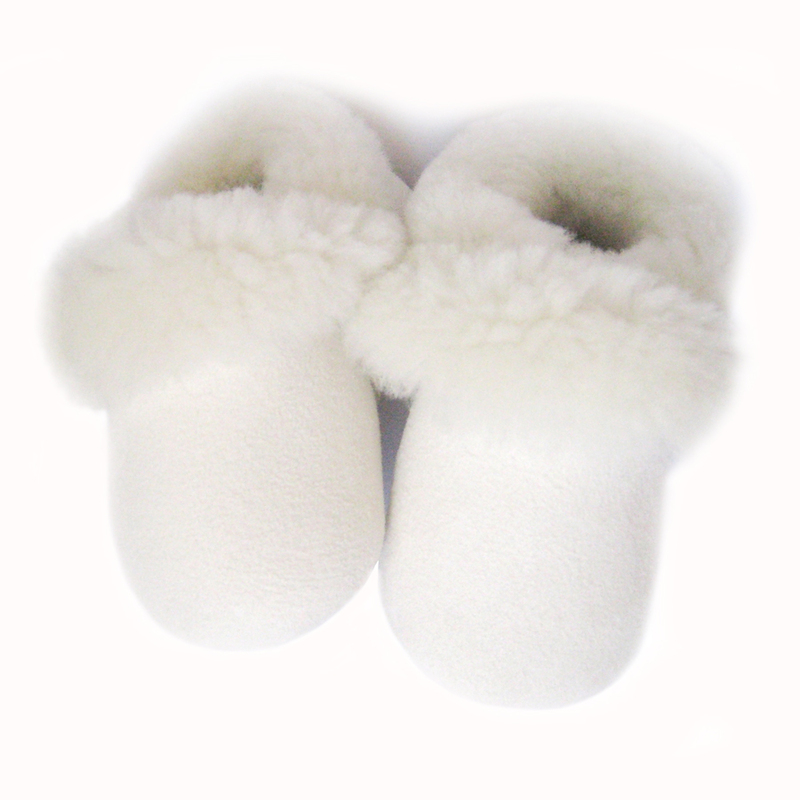 Wubby slippers are entirely Made in France with natural Merinos sheepskins finished on both sides. Two styles are available : WANIS with a folding cuff, and WOODY a lace-up derby. For both styles, one suede side, soft and silky on the outside of the slippers, and one wool fur side, sleek and smooth inside the slippers, bringing comfort and softness. Also, the sheepskin is naturally thermo-regulator, so it will maintain baby feet in warm during winter season, and will absorb sweat in the summertime. The outsole is in suede leather. Style WANIS : the top of the slippers is stretchy, allowing enough of an opening for baby feet, and holding the ankle, but not tightening it. The cuff can be unfolded to keep the instep warm. Style WOODY : a cute tiny derby, closed with lace-up in cotton. 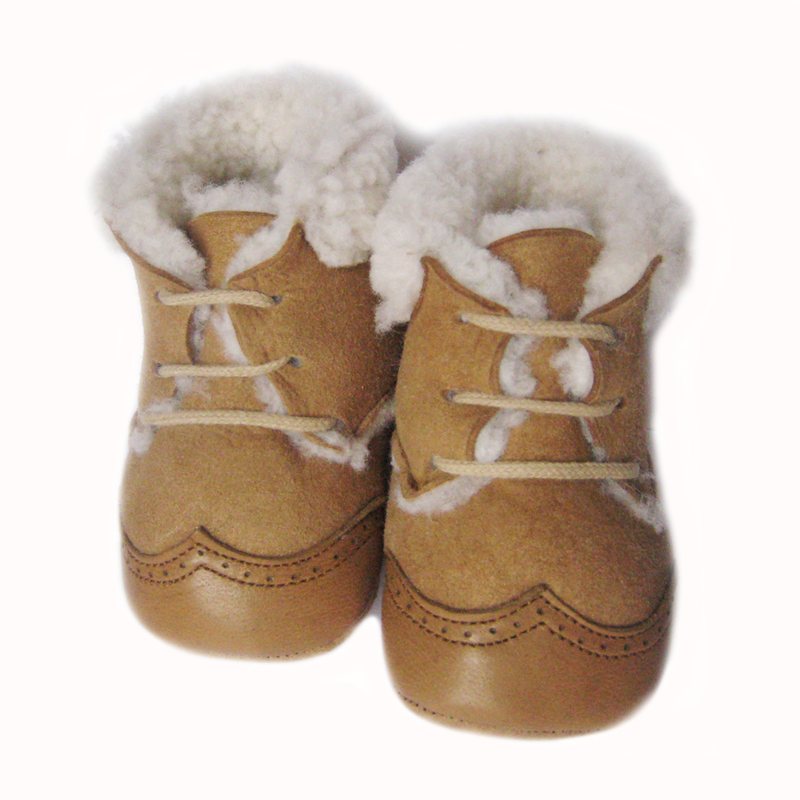 Slippers are available in 2 sizes : 18 and 20, and in 6 colors : Ecru/Crème, Camel, Caramel, Ecorce, Café au Lait, Marine. Wubby slippers can be personalized by engraving the baby’s name on the sole. Personalization is by request, with no extra charge. The gift box is offered. 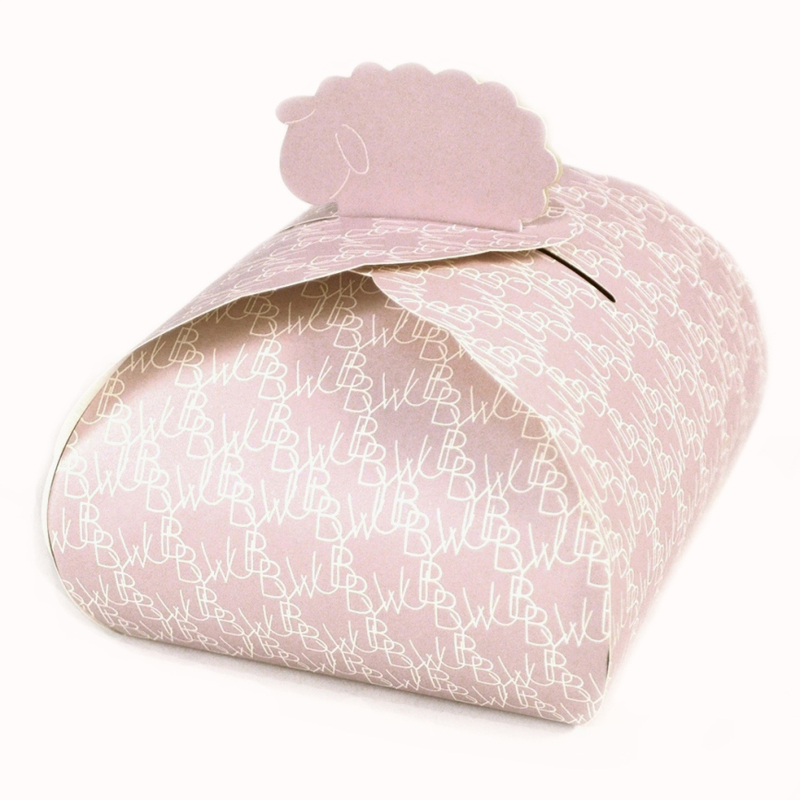 Wrapped in their pretty box, Wubby slippers make a perfect gift for a newborn. Just as we keep the shoes of our first footsteps, we’ll also keep our first little Wubby slippers.